Redecorating your space can be fun and refreshing–especially with Spring approaching. With so many ideas online, it can be easy to become overwhelmed by pieces that look like they go together, but don’t quite look right in your space. One trick interior designers turn to when laying out a space is a principle of design: balance. Balance can help you determine where something “goes”. Whether you’ve purchased a new piece of furniture, or you’re just adding in a new lamp, balance can guide your design decisions. There are three primary types of balance: symmetrical, asymmetrical and radial. Symmetrical balance refers to mirroring over a central axis, while asymmetrical has more to do with weight. Radial balance means a room is arranged around a central point to evoke centrifugal motion. Pictured here is a great example of asymmetrical balance. You can see how the weight of the room is balanced out by a small side table and a tall, skinny lamp. The Malibu sectional’s chaise balances with the other side of the sofa. 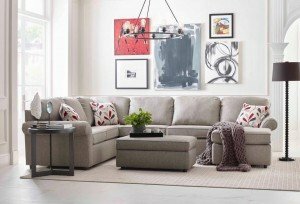 Check out the Malibu Sectional by England Furniture. 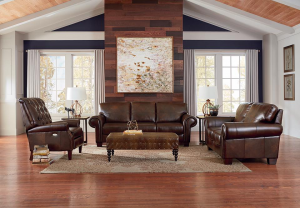 After you admire the decorative top stitching and optional nail head trim of the all leather England Furniture Lanie collection, you can sit back and relax. Get lost in the beauty and comfort of its flared roll arm, plush back, and small bun leg. 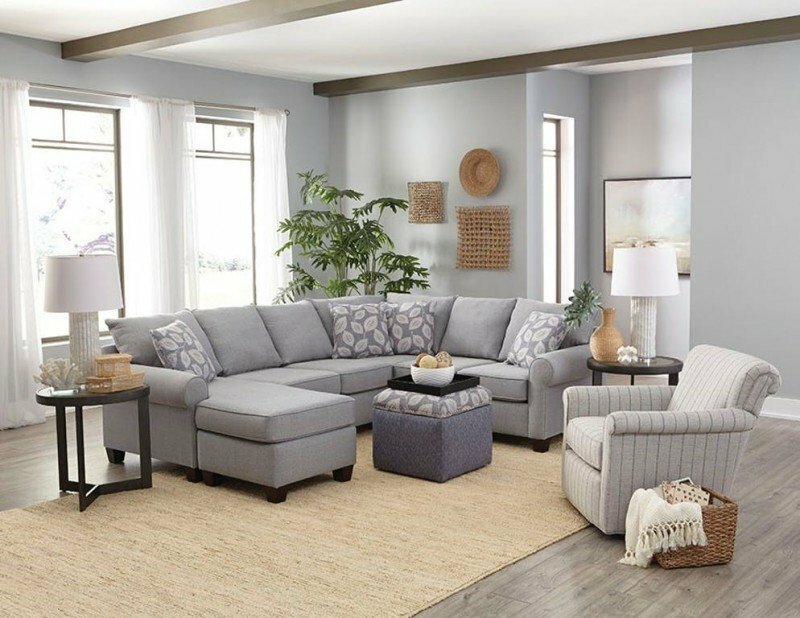 This style is available as a motion sectional, double reclining sofa, double reclining loveseat and reclining chair to complete any room. All of our motion pieces are available with an upgraded power mechanism. See our Manning collection for fabric cover options. To get to know England Furniture a little better, read about our history below. To find out more about where England Furniture started, you can check out this England Furniture article . You can also explore What's Inside England Furniture . If you want to get a behind-the-scenes look of England Furniture, check out the Factory Tour here . Hopefully these resources will help you get a better understanding of what makes up England Furniture. To learn more about England Furniture , visit our Wikipedia page. 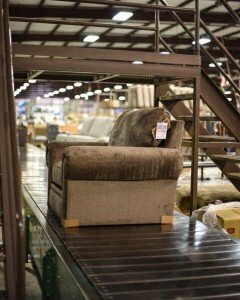 England Furniture has been making upholstered furnishings for the home or office since 1964. It was initially a company that wanted to make quality furnishings while employing the Appalachian population. They try to keep to their roots by improving on the various styles of furnishings they manufacture. They also concentrate on ensuring that they deliver their orders in an expeditious manner. 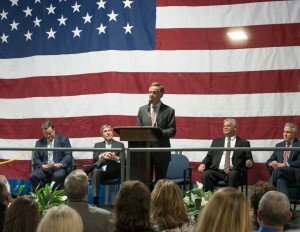 In 1995, England Furniture was acquired by La-Z-Boy (based out of Monroe, Michigan), but is still operating from Tennessee. 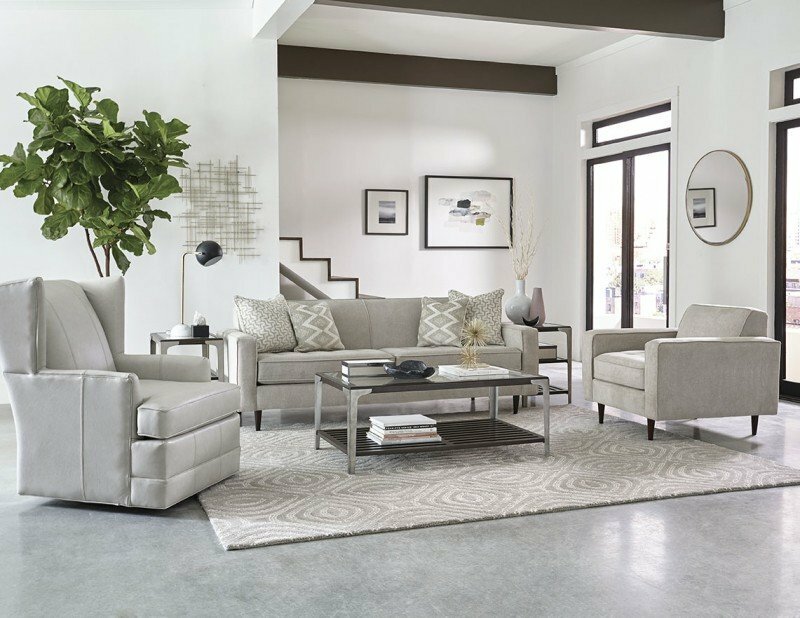 The furnishings they craft come with over 500 types of fabrics and leathers to choose from, England Furniture is committed to receiving your order and completing it as quickly as 21 days. This would ensure that you start enjoying your chosen furnishings without waiting too long.